This is apparently one of the most unheard of gardens in the city. Yet, given its beauty, it's hard to understand why! 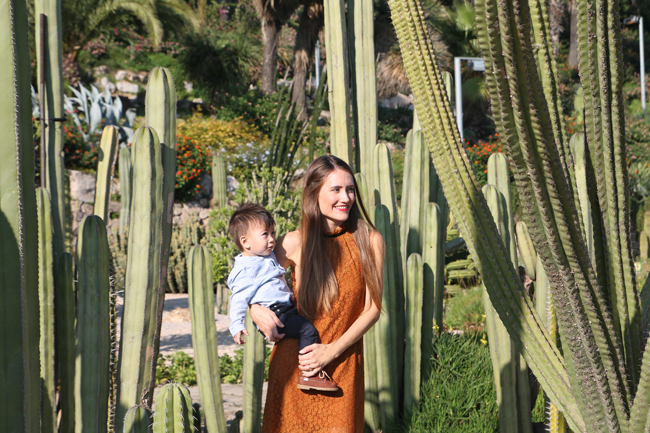 The Mossèn Costa i Llobera gardens feature an amazing selection of cactus from all over the planet, mostly Mexico (duh! ), and South America. It's pretty amazing that the cactuses get to make it here in Barcelona. I mean, I know it is a relatively warm city, but it's no desert either! 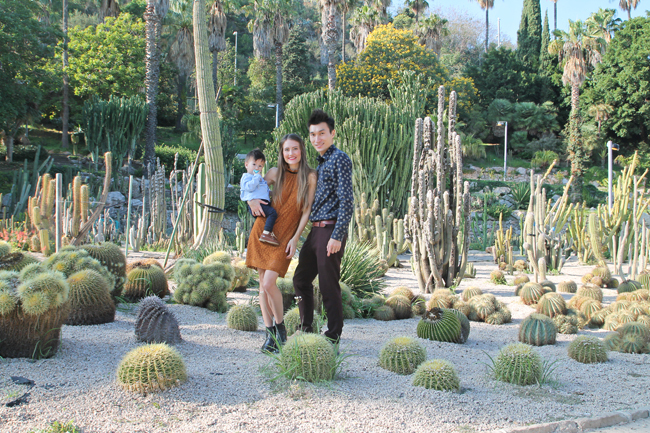 The cactus garden, as it is known, is located at the top of Montjuic, a bit out of the way, wich may explain why not that many people know about it. The most perfect plan if you decide to visit, is to stay for lunch at Martinez, an amazing restaurant located right at the entrance of the gardens, from which to enjoy awesome sea-views while having a yummy paella. Ask for a table by the window to make sure you get the most out of it! I was wearing TRF dress and Elvio Zanon boots. Liam was wearing Zara baby clothes and Privata boots. Crazy giganticactus! Great photos Olivia, beautiful family!